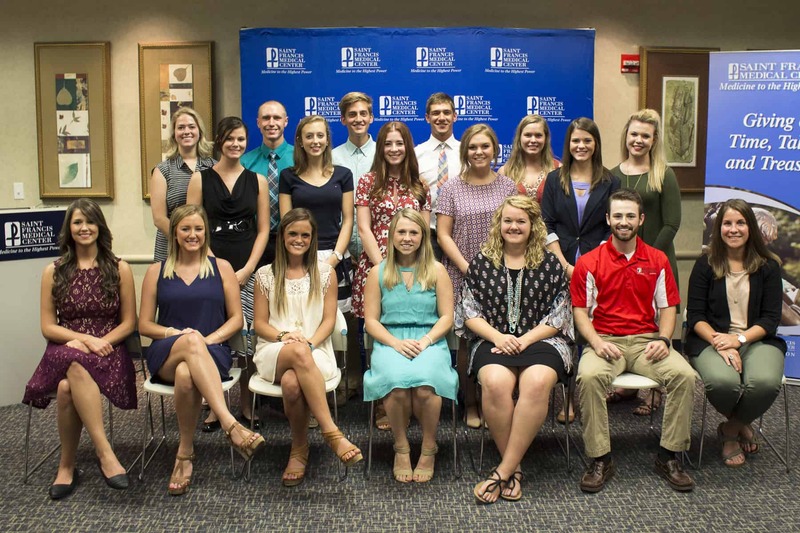 Saint Francis Healthcare System Foundation and the Saint Francis Auxiliary awarded healthcare scholarships to 23 local students on August 5. Each student received $1,250 in scholarships toward a degree in a healthcare-related profession. The Saint Francis Healthcare Scholarship Program was created in 1980. Saint Francis Foundation and the Saint Francis Auxiliary fund the program. Since its inception, the program has provided more than $579,000 in education scholarships to college students in an effort to encourage participation in professional healthcare careers. Scholarship recipients must have completed at least one year in an accredited healthcare program and be currently enrolled, maintain a minimum of 3.0 GPA and complete the application and essay requirements by the scheduled deadline. They must also reside within the Saint Francis service area, as defined in the application. The members of the 2016 Scholarship Committee include: B.J. Bowman, Nicole Chance, Cheryl Mothes, Lisa Newcomer, Jessica Riley and Debra Schumer. For more information about the Saint Francis Healthcare Scholarship Program, call 573-331-5790.